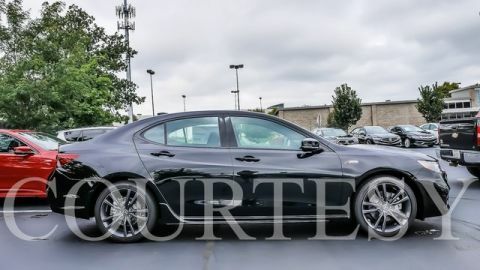 CALL 1-833-682-2245 for immediate "On the Spot" pricing on this 2019 Acura TLX 2.4 Sedan with A-Spec Package! 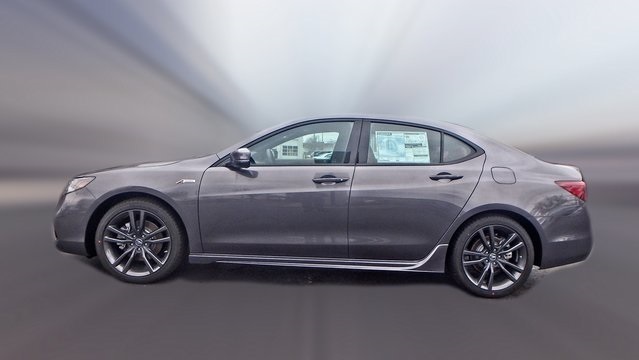 Now is the time to make your deal on a new 2019 Acura TLX 2.4 Sedan with A-Spec Package! 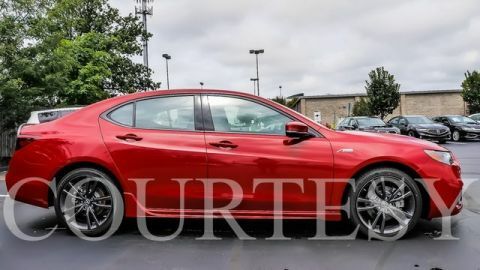 Standard features of the 2019 Acura TLX 2.4 Sedan with A-Spec Package include: Navigation System, Blind Spot Monitoring System, Precision All-Wheel Steer, Apple Car Play, Multi-View Rear Camera, Adaptive Cruise Control, Forward Collision Warning, Collision Mitigation Braking System, Lane Departure Warning, Lane Keeping Assist, Road Departure Mitigation System, Keyless Entry, Multi-zone Climate Control, Power Locks, Power Windows, Steering Wheel Controls, Heated Seats, Leather Seats, Premium Wheels, Sunroof, Bluetooth Hands-Free, Premium Audio, Security System, Portable Audio Connection, CALL NOW! 1-888-305-6941 for "On the Spot" pricing on 2019 Acura TLX MODELS! Courtesy Acura in Lexington, Kentucky wants to make it simple for you to buy from us! *Special terms and conditions apply. Ask your sales consultant for details. Our customers in Kentucky already know that Courtesy Acura is the preferred Acura Dealership in our state for the best purchase experience! Courtesy Acura stands alone in Kentucky by winning the Acura Precision Team Award for the last four consecutive years! This is the highest accolade given to an Acura Dealer by Acura USA and we earned it by providing our clients with a purchase and delivery experience that is considered among the best in the country. We sell New and Certified Pre-owned Acura models to clients in Kentucky, West Virginia, Tennessee, Ohio, and Indiana, and they will tell you it is well worth the drive to come to Lexington. Courtesy Acura makes it easy for you to do business with us. Our Certified Acura Sales Professionals are prepared for your call and will gladly assist you with any questions you may have. Courtesy Acura has a new modern showroom that shows our commitment to our clients and the Acura brand. Our Award Winning Service Department will is ready to accommodate you with a quick and flexible service experience as well as monthly special service offers and Acura loaner vehicles. Let Courtesy Acura make it simple for you! Call us now 1-833-682-2245.